An award-winning author is stopping by Lassen County early next month and will tour schools in Westwood and Susanville. 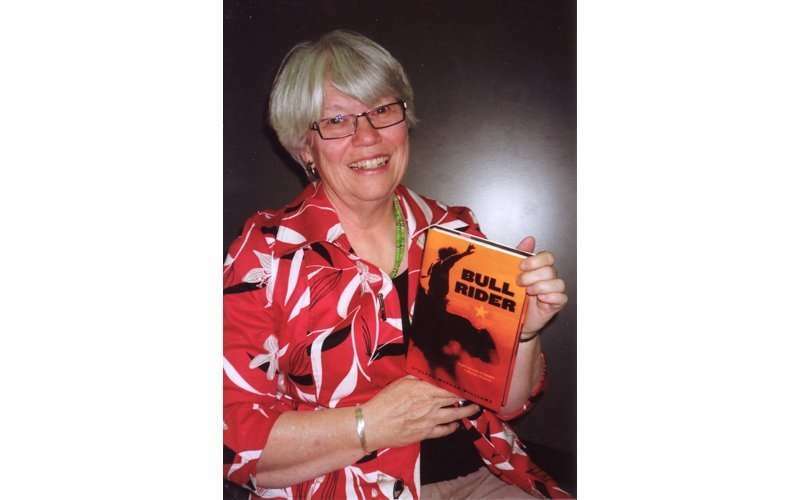 Suzanne “Suzy” Morgan Williams will be visiting the area during the week of April 2-3, with a free presentation at Lassen Community College Tuesday, April 2 at Middleton Hall at 6:30 p.m.
Williams is the author if the novel “Bull Rider” and 11 nonfiction books. “Bull Rider” has received national and state awards, and won a Western Heritage Award from the National Western Heritage and Cowboy Museum in Oklahoma City, Oklahoma. Williams has presented and taught writing workshops at schools, professional conferences and literary events across the country and Canada. Suzanne has traveled four times to the Canadian Arctic to work with Inuit people, writing “The Inuit,” and has worked with Indian people from various tribes, on books and projects. 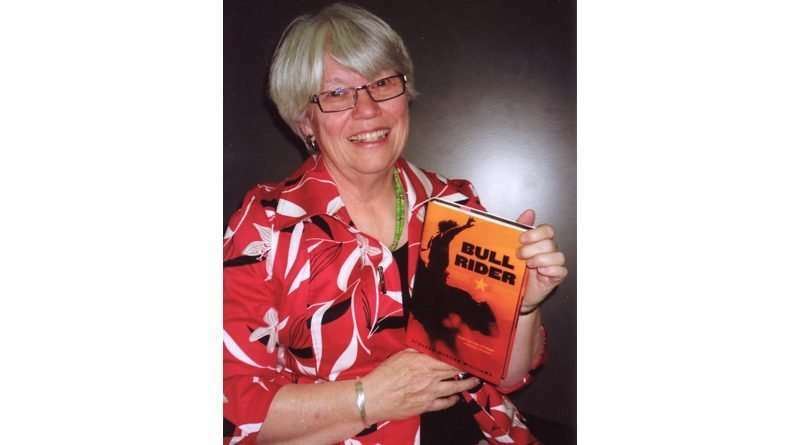 She is known for careful on site research, which for “Bull Rider” included interviewing professional bull riders, ranchers, and caregivers who work with severely wounded veterans. For her work in progress, a historical novel set in Plymouth Colony in 1660, she has consulted with historians and visited relevant sites and libraries in Massachusetts and Rhode Island. She learned a lot about herbs, English history, and the politics of religion in the 17th century. Williams is a former teacher, a speaker, and workshop leader. She’s worked in all kinds of classrooms, from autistics to ESL, from pre-Kindergarten to middle school and high school. She has teaching credentials in Washington and California as well as a Montessori Certificate and a M.Ed. in early childhood education. Also on Tuesday are a presentation at Westwood School at 9 and a presentation for Meadowview’s fourth grade class at Middleton Hall at 12:45. On Wednesday April 3, Williams will be at Shaffer School at 9:15 a.m., Richmond School at 10:45 a.m. and again at Middleton Hall for Meadowview’s fourth grade class. Announced at the college’s March 12 board of trustees meeting, president/ superintendent Dr. Marlon Hall shared during his presentation a special thanks to the efforts of Shar Murphy, the college’s Academic Resource Center librarian and the Lassen-Modoc Adult Education Consortium for Californian Adult Education for sponsoring the event. For more information concerning the presentation call the Lassen College library at 251-8830.